Logan Brettell rolls out of the pocket during the Leicester Falcons preseason game against the Oxford Saints on March 24. Brettell, Quanzee Johnson and Clarence Clark are continuing their education and football careers at the University of Derby. 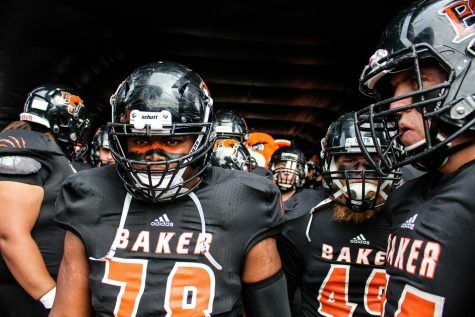 Baker University is well known for its football team and several star players. For most, the journey ends after senior year. 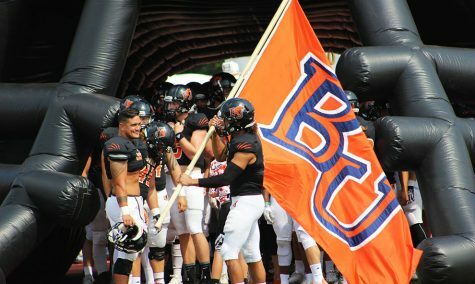 However, graduates Logan Brettell, Clarence Clark and Quanzee Johnson are continuing their football career in the United Kingdom (UK). The British American Football Association is based in Leicester, England. 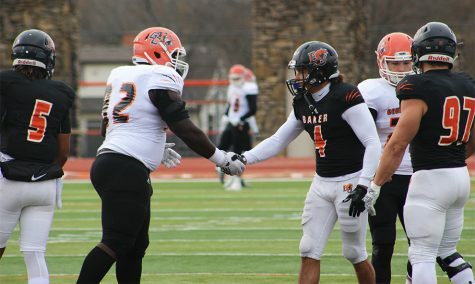 Baker University and Derby University partnered with the organization to develop an 18-month exchange program, which began March 14, in order to promote American football in the UK. Brettell is playing quarterback, Clark is a wide-receiver and kicker and Johnson is a receiver. The season runs April-September. 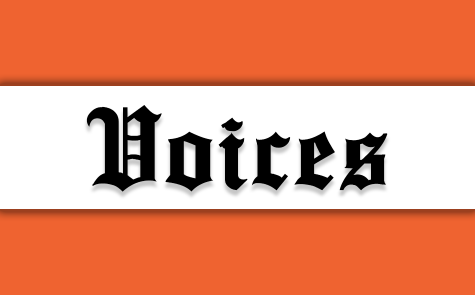 “Our role here is to serve as players and mentors for the Leicester Falcons and help build a winning organization in the Premier League in England,” Brettell said. 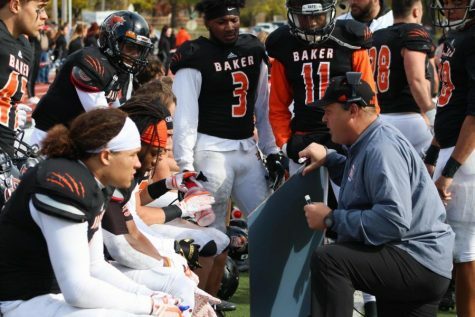 Baker became connected with the Falcons through former Head Coach Mike Grossner. 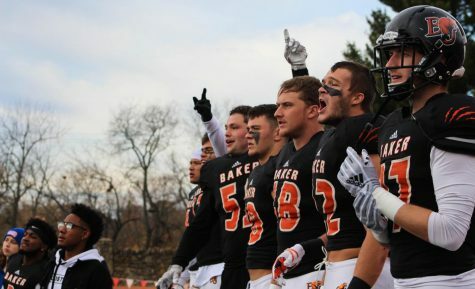 Grossner played for a similar team after graduating from college and is still connected with his former teammates, who now own and operate an American Football club. 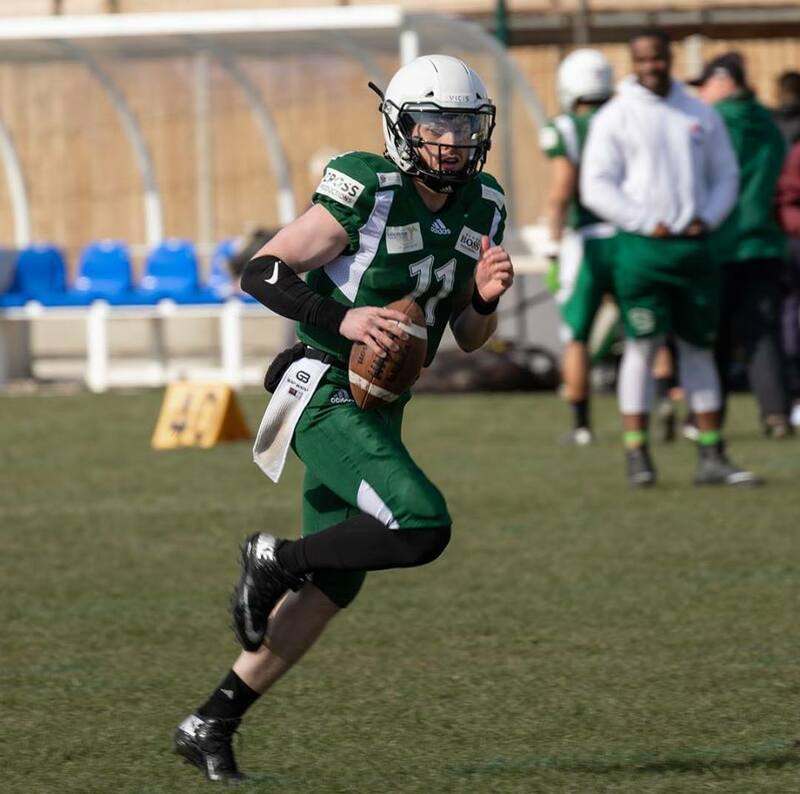 American Football in the UK is not very popular, and many UK athletes are still learning the game, including the Leicester Falcons. 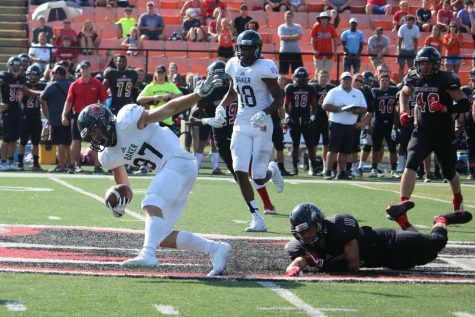 According to Brettell, the Falcons only have four American players — himself, Clark, Johnson and a former NAIA player from Saint Francis University, the team Baker played against in the 2016 National Championship. Johnson said he is looking forward to helping players understand true passion, dedication and the game itself. “For some, skill level may or may not be there as well so it’s our job to teach and help these teams become the best versions of themselves so that when we leave they have a foundation to grow on,” Johnson said. 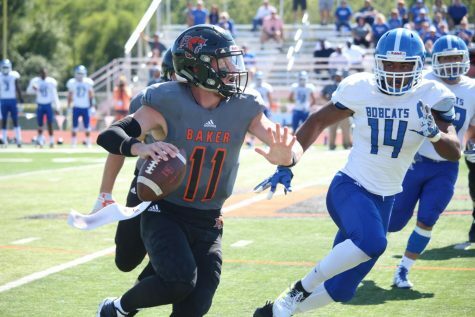 Brettell, Clark and Johnson will all be completing masters degrees in business at Derby University in Derby, England, as they continue their athletic career. 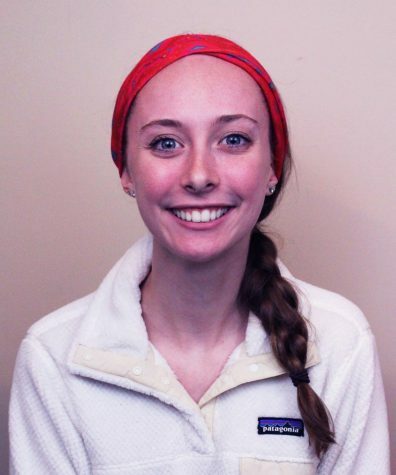 “One good thing about master degrees here in the UK is that they only take up to a year to complete which made this opportunity that much better,” Johnson said. Clark is looking forward to the academic opportunity because of what he has heard about completing masters degrees overseas. Johnson said he is excited for many aspects of this experience, including the educational and cultural experiences he will gain. 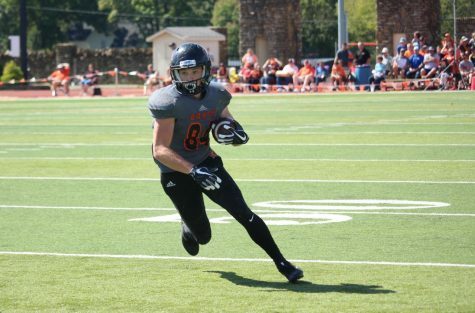 However, Johnson said the opportunity to continue playing football was very motivating. Follow The Launch Mode Podcast on the Apple Podcast App and @thelaunchmodepodcast on Instagram and @launchmodepod on Twitter for more updates about the players’ experience.